Do you still love a "real" book? 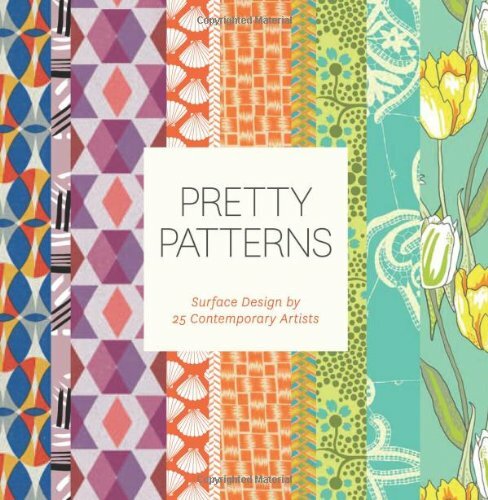 My next book selection for 2015 is Pretty Patterns, Surface Design by 25 Contemporary Artists by Chronicle Books. I've begun exploring patterns in my own work over the last year so, and enjoy studying beautiful patterns created by others. With so many patterns available to view and collect online, such as here on my Pinterest board, I'm wondering if holding the pages in my hand, away from the screen, will help me in my pattern study. Or not, because I do need to return this inspiration to the library? Typically, though, I do love a real book as an escape from the screen. What about you? Do you prefer the convenience of online resources, or do you hold a love for actual paper in hand?